Medical practices have a lot of documentation that require maintenance, updates, and filing on a regular basis. Transitioning to a paperless system can optimize the way these files are managed for a more productive office. The backbone of a paperless office is an Electronic Data Management (EDM) System. Medical practices use a specialized EDM referred to as an Electronic Medical Records (EMR) System. 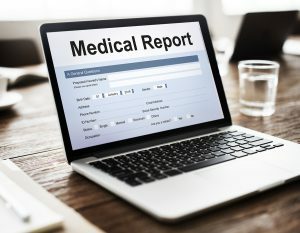 An EMR contains the standard medical and clinical data gathered in a medical office, and is usually part of the more-detailed information provided in an Electronic Health Record (EHR) System. This software allows a medical practice to improve its document management capabilities by eliminating all of their paper charts and reduce the need for medical records storage capacities. What Can You Store on Electronic Medical Records Software? Medical records backup of information. Backing up all the information in your patient’s medical records is a vital part to medical records management. It helps to reduce the risk of future data loss from a disaster and legal liability from a data breach. Monitor patients over time based on specific, customizable settings, including vaccinations, flu shots, blood pressure readings, blood sugar levels, and more! Improve overall quality of care in a practice with easy to access test results, streamlined documentation processes. An EMR is usually self-contained within an individual practice, and might be difficult to transfer to another provider. That’s where an EHR will benefit you. 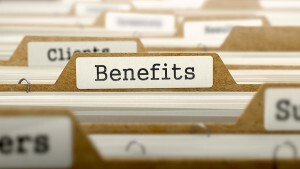 Choosing the appropriate EMR is critical for a smooth transition to an electronic file system. Accurate medical records scanning and a doctor’s review of each record is also necessary to ensure that the system is capturing all the data once the conversion is complete. Record Nations specializes in making the transition simple and cost-effective for practices of all sizes. For free quotes on Electronic Medical Records Software, fill out the form to the right or give us a call at (866) 385-3706. If you’d like to learn more about electronics medical records software, visit our articles section or check out our blog!